For years, Google Chrome is a well-liked web browser for a lot of online business owners. Do you also prefer this browser? If yes, you may want to check out the latest update for desktops called Chrome 62 that was released on October 17. Let’s see how this update will change the game. Google puts a lot of effort into improving the security of browser users, making more effective tools and extensions (check out caseo article to learn about best Chrome extensions for SEO). Same goes for Chrome 62. This new Chrome update doesn’t only imply a browser change but also a new way of work when it comes to search engines. These changes are going to result in a win-win situation for customers and businesses. By avoiding unsecured websites, browser users will have a much safer experience while surfing online. On the other hand, businesses that own fully secured sites are more likely to obtain trust and thus higher clickthrough rate. In particular, Chrome 62 is designed to increase users’ safety by letting them know if a certain website is completely safe or not. 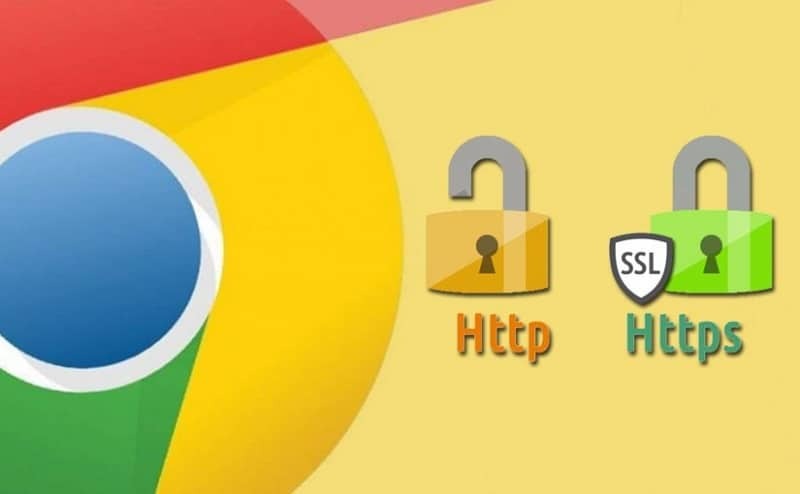 So, when you use this browser for your research, it will mark HTTP pages as “not secure” if they attempt to collect data like search queries, login details, registrations, and banking or financial information. How to See if Your Website Is Secured or Not? One might ask, how to recognize an unsecured site? An unsecured website has “HTTP” address, while a secured page has “HTTPS” address. These symbols are meant to instantly notify browser users if a website is safe to leave any details and browse through. Those websites that fit all the security requirements by Google will see a significant rise in Quality Score. Otherwise, your webpages will be pushed down in Google search results which will affect your Quality Score and SEO badly. This is particularly true for PPC and SEO advertising. Many websites have already been labeled as non-secure because they have collected credit card information and/or passwords from their users. According to Google, there has been a 23 percent reduction in the traffic that leads to insecure HTTP pages since the change in previous Chrome 56 version. With the latest Chrome 62 changes, we can expect that this rate is going to be increased in the near future. That’s because Google will flag all the webpages with any type of input fields. This means businesses having unsecured sites will suffer a lot. When your customers see that your site is “Not secure”, they will start judging whether your business is trusted or is just an online scam to avoid. That will affect lots of legitimate online businesses, especially those whose websites request any visitor info, including financial details, username, password, and email address. Every business will have to work with a secure website in the future. Don’t let your website move to not secure! To prevent this, you will be required to have a correctly configured server and an SSL Certificate. Chrome 62 Is here! Make sure to act fast if you don’t want to lose your users. I am actually glad to hear this, not because my site is already set up and using HTTPS. But because I was at Borders one day and clicked over to a site that I thought was safe. I was looking for a quote online and then next thing I know the site ended up being a spam site. I had a very hard time exiting the site but finally managed to get out of it. That’s actually why I don’t like using free wi-fi from public places. You never know what you’re going to land on. It’s nice to know that Google Chrome is trying to make the Internet a safer place for its users. The green of the “secure” message on Chrome perfectly matches your blog colors. Yes, internet and Google is always changing and who does not keep up with these updates, risk to remain behind. Thanks for sharing your views, Susan. Thanks for leaving your comment here, have a great rest of this week. Thanks for this update. Google is now pushing https sites to search engine result page. I think it is a good move to make the web more secure. I am using https from past 3 months and its really helps me to secure my site and contribute myself to make a secure web space. After installing the SSL, I have seen a hikes in my search engine rankings. Thanks again for sharing this awesome post. I just visited your site and saw it’s secure for browsing. Good to hear that, Vishwajeet. Good to know that Google is bringing things to secure the Internet and make it a much better place. These initiatives do boost up people who are indulge into online business and marketing. purchasing their products so that the personal details of the customers are safe with in us. Security was most important for any business. The secrets behind the business must be protect with the safety measure. Particularly many business information and secrets are maintained on internet basics. In that how to find the secure website and what are the prevention measure like you explained is very useful to secure our websites. Google providing security its a great thing in that how we use the google security to protect our sites is most important. You done a great job. Thank you so much.